Schaal grew up in Oakland, California, admiring the work of his father, Rudolf Schaal, a landscape architect who emigrated from Germany in the 1930s. The younger Schaal received his B.S. in landscape architecture from Cal Poly Pomona and was recognized as the "Outstanding Graduate in Landscape Architecture" in 1962. After practicing in California and North Carolina, he moved, in 1966, to Syracuse, New York, where he taught full-time at the State University of New York College of Environmental Science and Forestry while earning his M.L.A. Schaal joined the San Francisco office of Eckbo, Dean, Austin and Williams in 1970, and in 1974 he founded the EDAW office in Fort Collins, Colorado. There he led a distinguished career until his retirement in 2012. 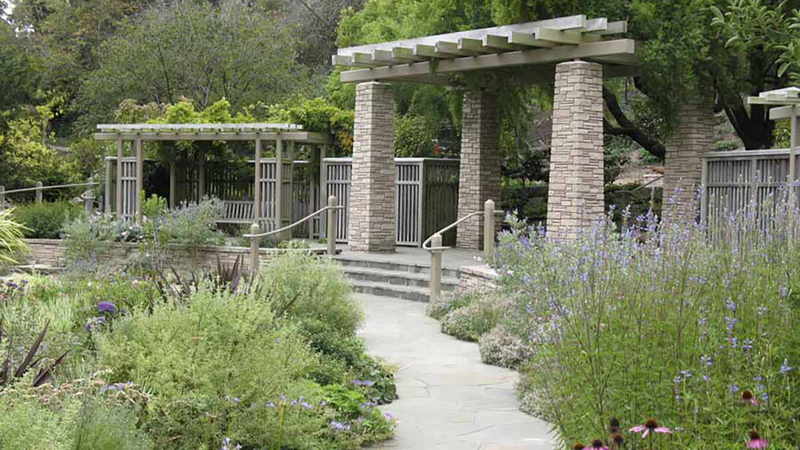 Schaal worked on a vast array of diverse projects, ultimately specializing in public gardens. He created master plans and designs for dozens of botanical gardens and arboretums nationwide including the master plan and design for the Coastal Maine Botanic Gardens. He also became acclaimed for youth-oriented gardens and contemplative health-care gardens and worked on several prominent national parks, including Yellowstone, Grand Canyon, and Yosemite. Schaal was also the primary landscape architect for dozens of campus projects over the course of fifteen years at Washington University in Saint Louis. Among his most significant commissions was his first project at EDAW, the Pacific Gas and Electric Company’s Davenport transmission line study near Santa Cruz, California, noteworthy for its cutting-edge application of GIS technology in 1970. The EDAW Summer Student Program, which Schaal established and directed, received the Landscape Architecture Medal of Excellence (previously the Award of Excellence) from the American Society of Landscape Architects (ASLA) in 2000. Schaal was named a Fellow of the ASLA in 1990 and was named Designer of the Year by the American Horticultural Society in 2008. He is now retired and resides in Colorado. Schaal grew up in Oakland, California, admiring the work of his father, Rudolf Schaal, a landscape architect who emigrated from Germany in the 1930s. The younger Schaal would follow in his father’s footsteps, earning a B.S. in landscape architecture from Cal Poly Pomona in 1962. After practicing at Kenneth R. Anderson Associates in California, Schaal joined the teaching staff at North Carolina State University’s School of Design, working with Richard Moore, who headed the program in landscape architecture there. In addition to teaching, Schaal joined Moore’s product-design firm Mega-Tech Incorporated, working as a drafter, illustrator, and designer. In this position, Schaal collaborated on an eclectic mix of projects that ranged from laying out the grounds of the North Carolina State Capitol to designing TV Antenna Rotor Boxes. Following the closure of Moore’s firm, Schaal moved to Syracuse, New York, where he taught full-time at the State University of New York College of Environmental Science and Forestry while earning his M.L.A. Following graduation, Schaal joined the San Francisco office of Eckbo, Dean, Austin and Williams (EDAW) in 1970. Among his most significant commissions was his first project at EDAW, the Pacific Gas and Electric Company’s Davenport transmission line study near Santa Cruz, California. The study is noteworthy for its cutting-edge application of GIS technology. Schaal’s article on the project in the magazine Transmission Distribution attracted the attention of the U.S. Department of the Navy, which subsequently contracted Schaal and EDAW to perform a 22,250-acre siting study for the Naval Facilities Engineering Command using GIS. These initial projects opened a new service for EDAW in utility siting, about which Schaal became an expert, later co-authoring the text book Siting of Major Facilities: A Practical Approach. In 1974 Schaal founded the EDAW office in Fort Collins, Colorado, where he led a distinguished career until his retirement in 2012. As principal of the Fort Collins office,Schaal worked on a vast array of diverse projects, specializing in public gardens. He created master plans and designs for dozens of botanical gardens and arboretums nationwide, including the master plan and design for the Coastal Maine Botanic Gardens and the Rock and Alpine Garden at the Denver Botanic Gardens, the latter featuring more than 2,300 different plant species. Schaal also began to specialize in youth-oriented gardens and health-care gardens. 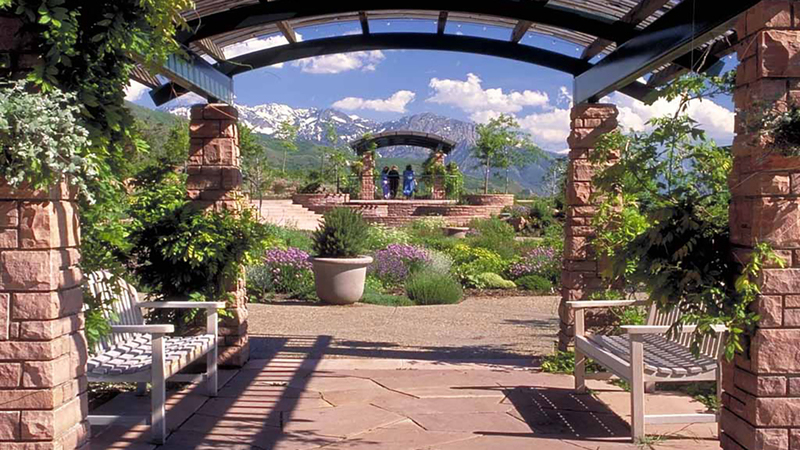 His design of The Samuel Shepard Jr. Gateway Educational Park in St. Louis, Missouri (1993), the Cleveland Botanical Garden’s Hershey’s Children’s Garden (1999), and the Red Butte’s Children Garden at the Red Butte Garden and Arboretum in Salt Lake City, Utah (1995), were among the first such landscapes in the nation. For Schaal, the significance of the gardens was vested in their ability to give urban families an opportunity to engage with nature in a safe and accessible environment. The Samuel Shepard Jr. Gateway Educational Park, situated on the grounds of a former housing project, features a courtyard with a prairie, stream, and pond oriented around an amphitheater for outdoor lectures. As was Schaal’s intent, this landscape allows disadvantaged youth to experience the natural world within city boundaries. 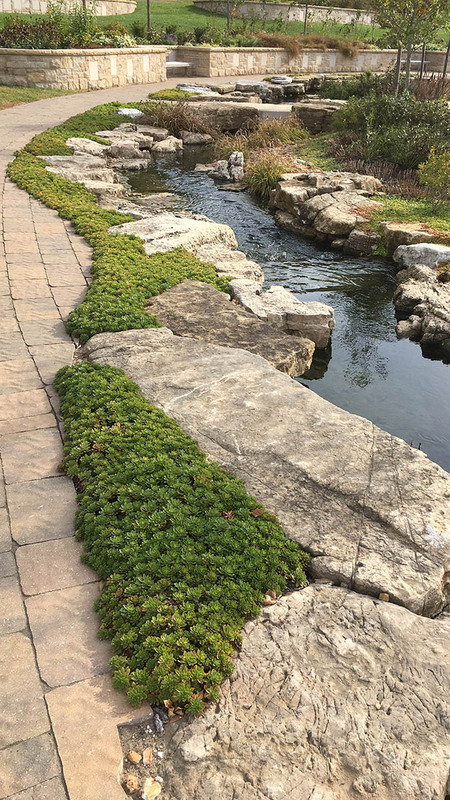 Schaal has designed more than twenty youth-oriented gardens across the nation, ranging in size from the eighth-of-an-acre Betty Ford Garden to the four-acre Morton Arboretum. His garden designs often interweave a variety of different themed landscapes into one aesthetic. 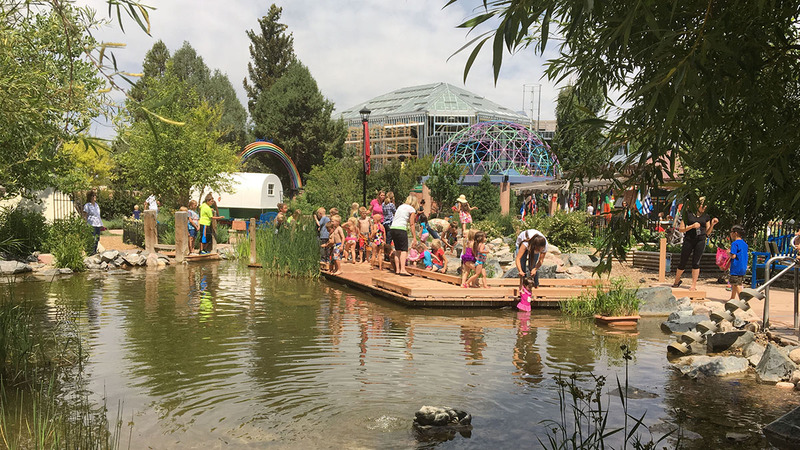 Emphasized in his creations are features such as fountains, bridges, garden beds, and boardwalks that prove inducive to a child’s sensory and intellectual faculties. In 2004 Schaal created a master plan for the Coastal Maine Botanic Gardens’ Central Gardens area, which included the Lerner Garden of the Five Senses. This one-acre landscape, completed in 2009, consists of five interactive garden zones that engage the senses of sight, smell, touch, taste, and hearing through design elements such as a vertical, reverberating, granite ‘sound stone’ fruit gardens, waterfalls, and reflexology foot paths. In addition to public gardens, Schaal also worked in several prominent national parks, including; Yellowstone National Park, Grand Canyon National Park, and Yosemite National Park. He was also the primary landscape architect for dozens of campus projects over the course of fifteen years at Washington University in St. Louis, in addition to designing the Sullivan Plaza at the University of Wyoming, Laramie. The EDAW Summer Student Program, which Schaal established and directed, received the Landscape Architecture Medal of Excellence (previously the Award of Excellence) from the American Society of Landscape Architects (ASLA) in 2000. 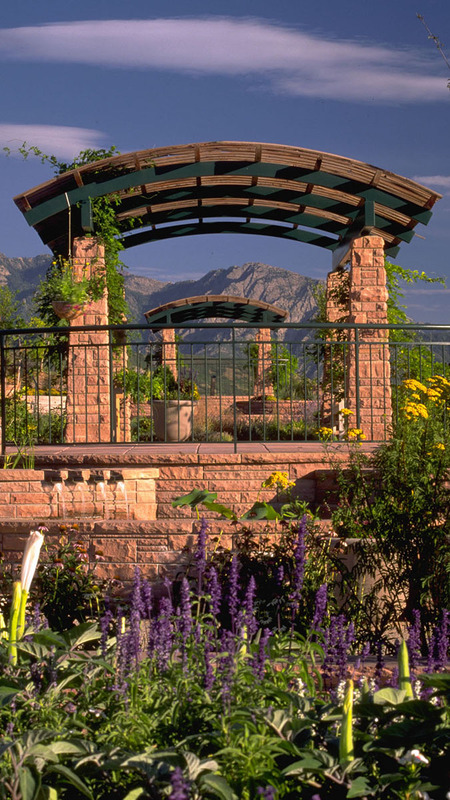 His design of the Denver Botanical Garden’s Rock and Alpine Garden earned him a national ASLA award in 1983. Schaal was named a Fellow of the ASLA in 1990 and was named Designer of the Year by the American Horticultural Society in 2008. He is now retired and resides in Colorado.